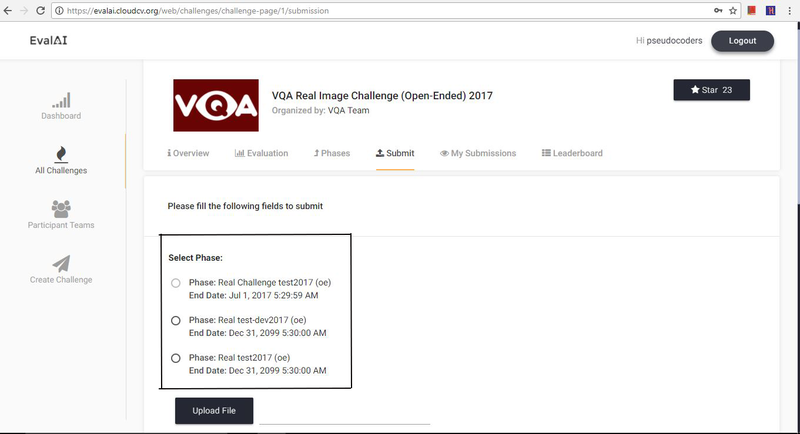 How to approve a challenge? 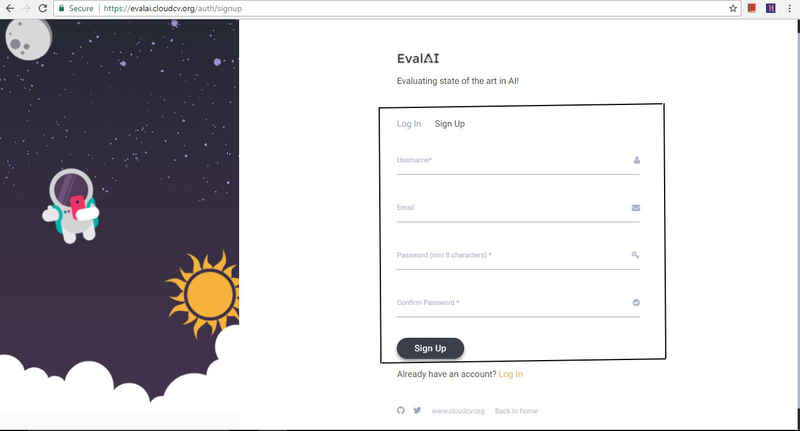 Participating in EvalAI is really easy. One just needs to create an account and a participant team in order to participate in a challenge. Sign Up and fill in your credentials or log in if you have already registered. 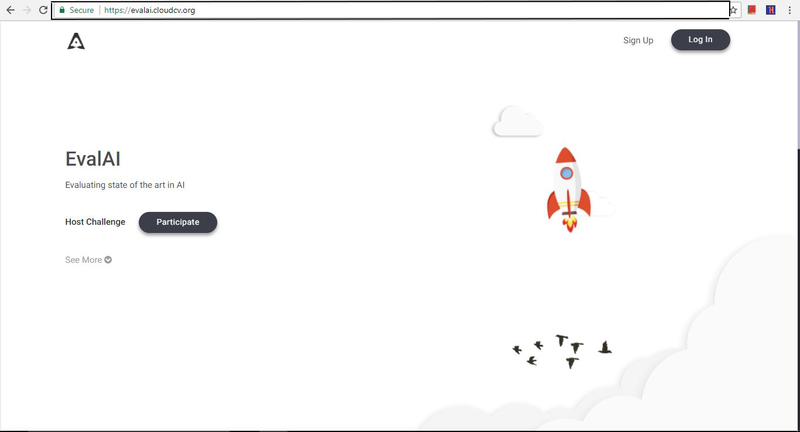 After signing up you would be on the dashboard page. 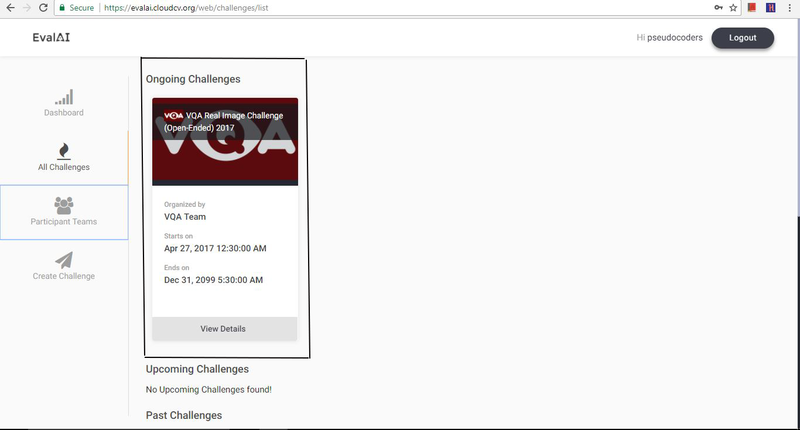 Then, go to challenges section and choose an active challenge. 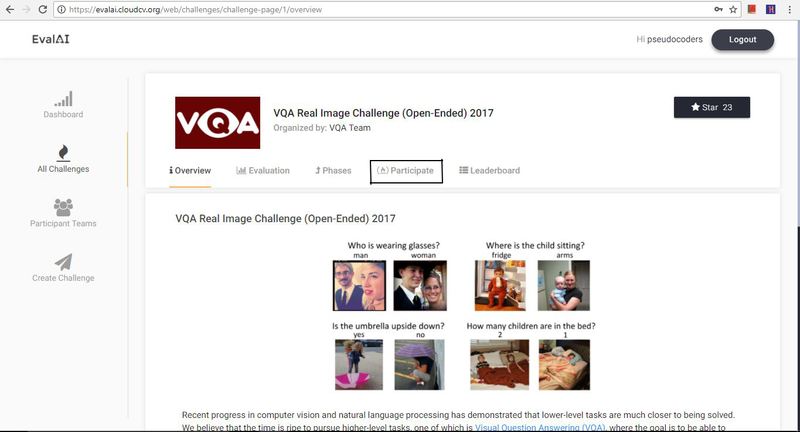 After reading the challenge instructions on the challenge page, you can participate in the challenge. 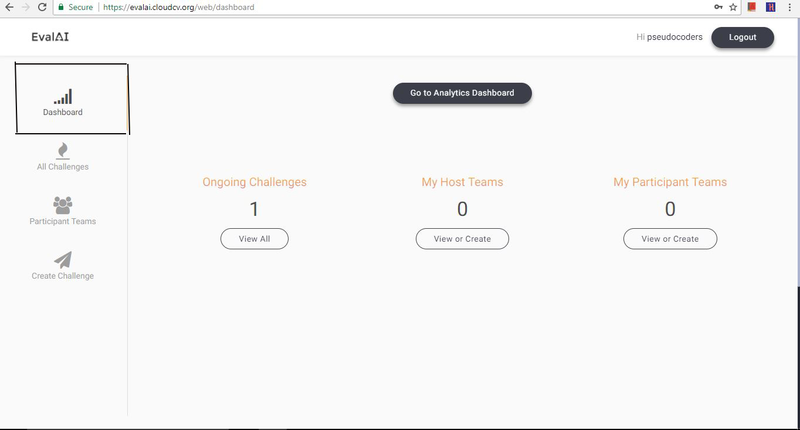 Create a participant team if there isn’t any or you can select from the existing ones. 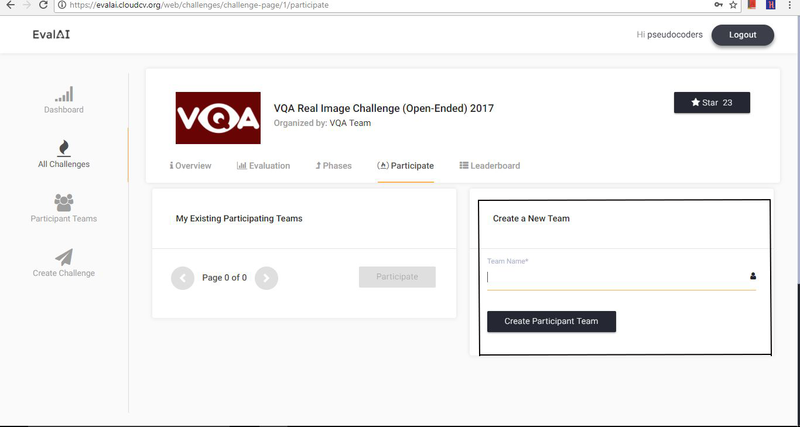 Click on ‘Participate’ tab after selecting a team. Tada! you have successfully participated in a challenge. © Copyright 2018, CloudCV Team Revision 3f672064.